Advanced Systems Consultants played a significant role in successfully deploying and implementing Six Sigma in its client - Motorola. In 1991 alone, Motorola realized savings of more than $700 million through the reduction of defects in the manufacturing process, and over $2 billion from 1986 through 1991. The FMU-139 and FZU-48 were the first programs to achieve Six Sigma. Motorola Used ASC's Proprietary Methodology M/PCpS for Achieving and Sustaining Six Sigma. 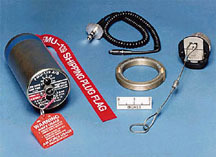 In 1985 through 1987 Mario Perez-Wilson acting as coordinator of Statistical Methods trained and implemented the Process Characterization methodology in the FMU-139 electronic bomb fuze program. The first organization where the M/PCpS Methodology was implemented. The success of the implementation increased yields of over Six Sigma performance levels to the program and total record sales of over $263,000,000. 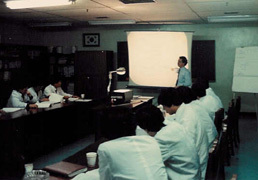 In 1988, this unit of the Tactical Electronics Division received the Quality Excellence Award from ASQC for outstanding achievement in the use and implementation of statistical tools. In 1990, the FMU Fuze Program won the Chief Executive Office Quality Award (CEO Award), Motorola's highest award for quality performance. 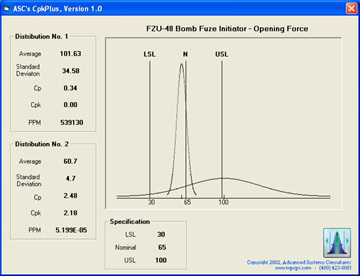 In 1987, Mario Perez-Wilson as Staff Engineer and still acting as coordinator of statistical methods, implemented the M/PCpS Methodology into the FZU-48 Bomb Fuze Initiator from the design stages all the way to Full Scale Production. After the completion of the first 115 deliverable FZU-48 units, an unforeseen design flaw resulted in failure of the First Article Acceptance Test. Aggressive utilization of Statistically Designed Experiments corrected the problem. In a period of five weeks, fourteen consecutive statistically designed experiments were conducted, leading to product redesign changes and reduction of product performance variability, far exceeding Motorola's Six Sigma design objectives. Since production began in early August, 1987, the FZU-48 program increased its production 1100% per day and during this period of eight Lot Acceptance Tests not a single unit failed. This Integrated Semiconductor Manufacturing Facility, located in Seremban, Malaysia, was the first wafer fabrication (Fab) in Seremban. 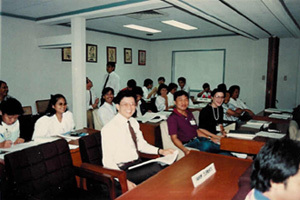 It was also the first facility in Asia-Pacific to receive training on the implementation of M/PCpS in 1988. Every process and equipment and tool, went through a complete characterization and optimization in the subsequent years. In one particular process, Emitter Diffusion, the hFE variation led to electrical rejects at class probe quantified to have a Cp="0".7 and Cpk="0".2. After undergoing M/PCpS study, the variation was reduced, leading to a Cp=2.6 and Cpk=2.2, with estimated savings of over $40,000 annually. Motorola Telcarro de Puerto Rico Inc. 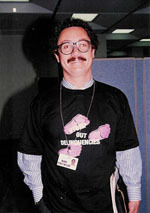 This Motorola site was trained in Spanish on the M/PCpS Methodology by Mario Perez-Wilson in 1989. A site coordinator was identified and trained for six months in Phoenix, Arizona. The site launched Six Sigma by characterizing and optimizing its processes. Eduardo Bustamante, the site coordinator, after training became a Statistical Methods Engineer responsible for coordinating all efforts to bring the site to Six Sigma performance capability. In the years that followed, Advanced Systems Consultants continued its training and consulting efforts with this site. On September 12, 1994, the Vice President General Manager, K. Kanapathi extended a Certificate of Recognition to Mario Perez-Wilson for ASC's excellent performance in developing his people in DOEx and Multi-vari Analysis. In 1994, energized by the new Vice-President and General Manager, Omar Villareal, the Motorola plant in Puerto Rico embarked seriously on a Six Sigma Quality Program. The whole organization was trained in Six Sigma and the M/PCpS Methodology in Spanish by Advanced Systems Consultants. The synergy produced in that organization led to a full implementation such that most processes were characterized and optimized to Six Sigma levels. A year later, Motorola Electronica de Puerto Rico, Inc. underwent the training to improve its pagers and cellular battery operations. This new site of the Pager Product Group in Bangalore, India, initiated its operations in 1994. In the same year, Advanced Systems Consultants was requested to kick off this Motorola Group's efforts towards Six Sigma. The M/PCpS Methodology was deployed to optimize their operations. The organization in Tianjin was trained on M/PCpS in 1994 as it was growing in their production of pagers and cellular phones. The year before, a significant portion of the Motorola's growth was in the People's Republic of China/Hong Kong operations. Total sales were $1.56 billion for both countries. 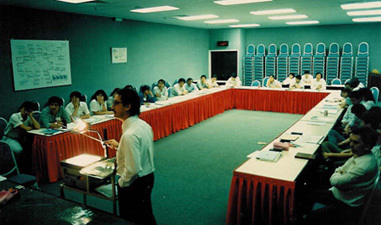 From 1988 through 1991, this campus of the Semiconductor Product Sector received training and implementation support from Mario Perez-Wilson as internal consultant to Motorola. Over four Statistical Methods Engineers (SME) were trained to support the successful implementation of Process Characterization and Six Sigma. A Manufacturing Center of Excellence was also established, and in 1991, they received the Chief Executive Office Quality Award. Motorola Malaysia (Penang) Sdh. Bhd. The organization in the Malaysian island of Penang was also trained in 1993 in the M/PCpS Methodology as it embarked on its quest to achieve Six Sigma by characterizing and optimizing every process. 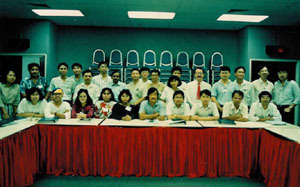 This Asia Pacific Paging Subscriber Division initiated a strong practice of M/PCpS in 1991. A single Statistical Methods Engineer or Site Coordinator was named and a number of teams started as they underwent a strong training program in M/PCpS process characterization. 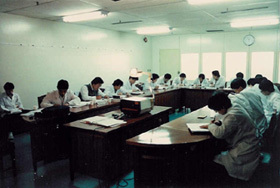 Starting in 1988 this facility embarked on Six Sigma with training and implementation of M/PCpS. Two Statistical Methods Engineers (SME) were selected and trained. These individuals facilitated and guided teams in the implementation of the characterization program on a multitude of studies and projects. In 1991 a Process Capability Improvement team studying the Towa Molding Process were awarded the CEO Quality Award. Starting in 1989 the Hong Kong organization of Motorola also embarked on M/PCpS to achieve and sustain Six Sigma performance capability. In the deployment of the methodology teams were trained and two full time Statistical Methods Engineers (site coordinators) were also selected and trained to manage the program. An SPS Manufacturing Center of Excellence was established and, in 1991, they were recognized with the CEO Quality Award. 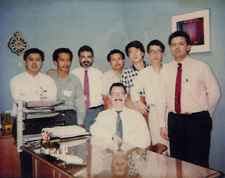 This facility of the Semiconductor Product Sector in Seremban, Malaysia was trained by Mario Perez-Wilson starting in 1988 through 1991. SMEs were identified, trained and made responsible for deploying the Process Characterization program to achieve and sustain Six Sigma performance capability. A Manufacturing Center of Excellence was created in Seremban, and in 1991, they won the CEO Quality Award. 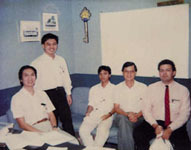 In 1994, soon after Motorola had opened a new operation to manufacture Printed Circuit Boards in Tuas, Singapore, Advanced Systems Consultants was brought in to disseminate the M/PCpS Methodology. All their processes were characterized and optimized at the beginning stages of productions. Multi-Vari Analysis was implemented to quantify the within board, board-to-board, within panel, panel-to-panel, within day and day-to-day variability. Positrol Plans and traceability logs were implemented across the whole fabrication facility. In 1995, Advanced Systems Consultants was also invited to train and deploy its M/PCpS Methodology in this new Printed Circuit Board facility. From the very beginning, they started implementing Six Sigma and characterized every process. In the Semiconductor Product Sector in Taiwan, two Statistical Methods Engineers were trained to coordinate all site activities for Six Sigma. 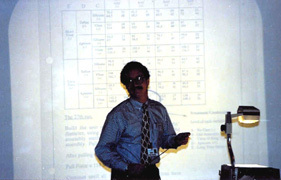 The organization received training and consulting services in 1989 by Mario Perez-Wilson, then Division Engineering Manager of Statistical Methods Department. In 1995, the Quartz Product Division and the Component Product Division in Chung-li, requested Advanced System Consultants to deploy the M/PCpS Methodology in support of the Six Sigma achievement. 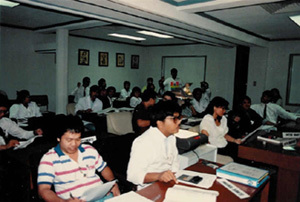 In 1990 the organization in Manila embarked on M/PCpS as the vehicle to achieve Six Sigma. Starting with Mario Perez-Wilson launching the program in 1990, site coordinators (SMEs) were developed to manage the efforts. 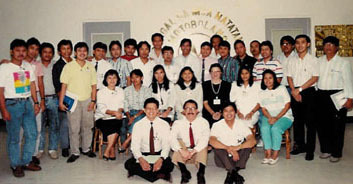 The Philippines was also a site for the formation of a Manufacturing Center of Excellence and, in 1991, it received Motorola's highest award for quality performance. In 1994, Jack Welch, CEO of General Electric wrote in his letter to GE's Share Owners about the new products introduced to the market. A major product introduction was a GE/Motorola-brand electronic fluorescent ballast. Advanced Systems Consultants was requested to assist Motorola Lighting in their quest for Six Sigma in this new venture. 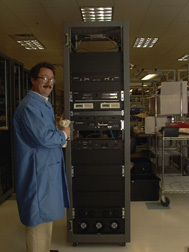 In 1995, the M/PCpS Methodology was implemented to characterize every single process and equipment. In 1998, Advanced Systems Consultants deployed the Total Control Methodology, TCM, to established a complete system of process control. 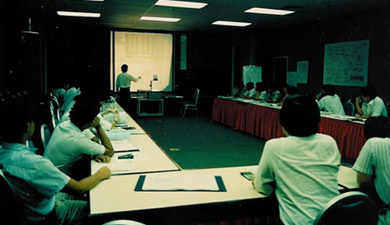 In 1994, the Paging Product Group - which designs, manufactures and distributes a variety of messaging products including pagers - in Boynton Beach, Florida entered into a contract with ASC to deliver the M/PCpS Methodology for achieving Six Sigma. 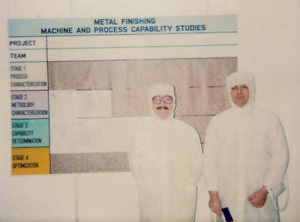 In 1993 and 1994, the Austin assembly operations also implemented Process Characterization as taught by Advanced Systems Consultants in Motorola's pursuit for Six Sigma quality. Processes, such as C4 BGA process, were characterized; these included equipment such as underfill dispensing systems, wafer dicing, pick-and-place, C4 placement, RTC furnaces, flux cleaners, screen printers and ball placement equipment. From 1991 through 1994 Advanced System Consultants was involved in training and consulting the Microprocessor and Memory Technology Group in the methodology to achieve Six Sigma. The ASECO supplier of Handlers was concurrently trained in characterizing their handlers to optimize their capability. 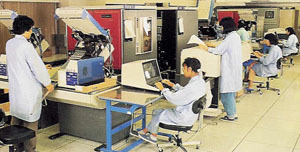 In 1997, as this Motorola Group expanded its production and assembly, it requested Advanced Systems Consultants to train their personnel in ASC's methodology for process characterization and optimization.